This season the island will see the first steps of Hï Ibiza, a brand new club by Ushuaïa Entertainment located in the apparent heart of Ibiza clubland, Playa d'en Bossa. The club aims to stay true to the open-minded spirit of Ibiza, bringing together music lovers to dance, discover and experience the magic of the White Isle. 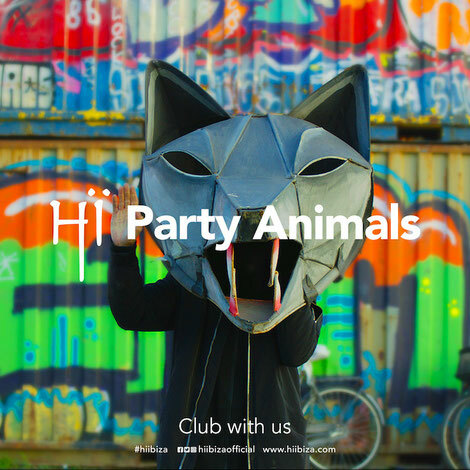 Hï Ibiza aims to provide the highest standards of music and entertainment, hoping to bring world-class music experiences to a club designed with the dancer in mind. This state of the art club aims to showcase some of the most exciting names in electronic music throughout the summer, from ‘the biggest stars in the scene to the leading lights of the underground’, continuing the island’s legacy as the party capital of the world. “Hi” is a small word that can be the beginning of a meaningful conversation, the start of a beautiful friendship that can lead to a bigger world of discovery.